This book explores portrayals of Anne Frank in American literature, where she is often invoked, if problematically, as a means of encouraging readers to think widely about persecution, genocide, and victimisation; often in relation to gender, ethnicity, and race. It shows how literary representations of Anne Frank in America over the past 50 years reflect the continued dominance of the American dramatic adaptations of Frank’s Diary in the 1950s, and argues that authors feel compelled to engage with the problematic elements of these adaptations and their iconic power. At the same time, though, literary representations of Frank are associated with the adaptations; critics often assume that these texts unquestioningly perpetuate the problems with the adaptations. This is not true. 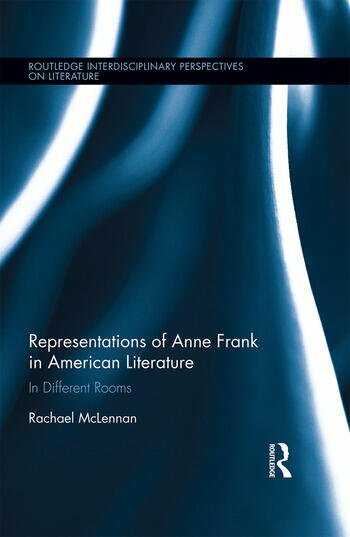 This book examines how American authors represent Frank in order to negotiate difficult questions relating to representation of the Holocaust in America, and in order to consider gender, coming of age, and forms of inequality in American culture in various historical moments; and of course, to consider the ways Frank herself is represented in America. This book argues that the most compelling representations of Frank in American literature are alert to their own limitations, and may caution against making Frank a universal symbol of goodness or setting up too easy identifications with her. It will be of great interest to researchers and students of Frank, the Holocaust in American fiction and culture, gender studies, life writing, young adult fiction, and ethics. Rachael McLennan is Senior Lecturer in American Literature and Culture at the University of East Anglia, UK.